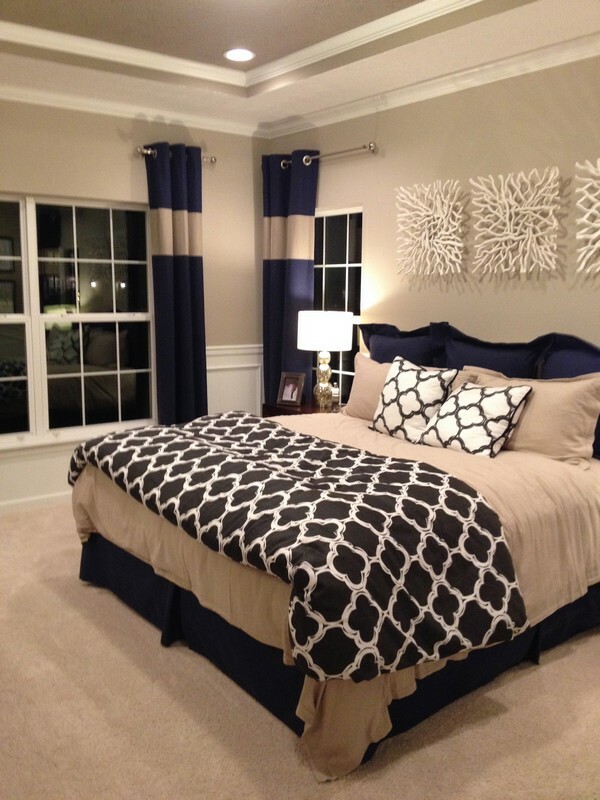 Blue is a good color for use in a tan bedroom. Here, the blue wall and blue curtains and pillow with white patterns breathe life into this tan bedroom, breaking the monotony of the tan color scheme. 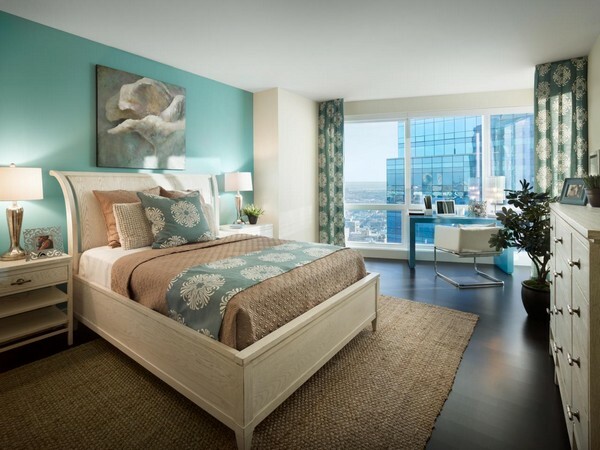 The floor-to-ceiling glass windows have the same effect, making the tan bedroom appear more spacious as well. 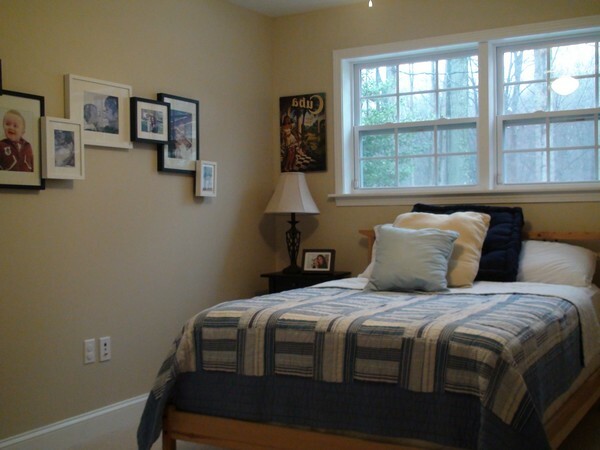 Here are a few more tips for making a small bedroom appear larger than it actually is. As you can see in this picture, white can be an important color to anyone looking to coordinate colors simply in a tan bedroom theme. The tan brown of the floor and furniture appears boring, until the white bed and bedding are added to the room, not to forget the white wall. Use of white in a tan bedroom helps brighten up the space and make it seem livelier, as seen here. When designing and decorating your tan bedroom, it is essential to realize that all the elements in the room need to coordinate each other. 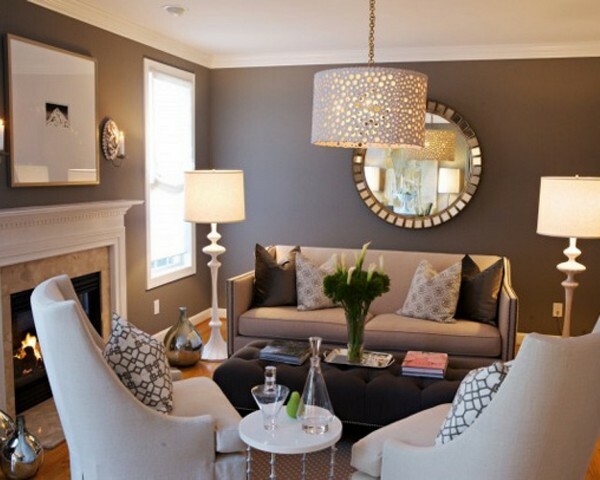 The furniture and other décor should, in most cases, complement the color scheme of the floor and walls. Therefore, their colors need to be in sync. 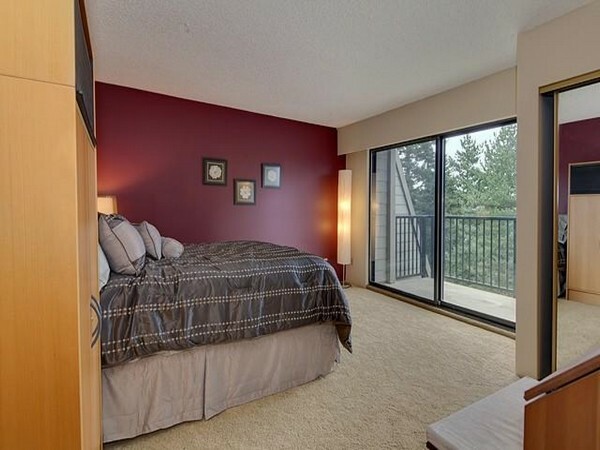 This bedroom also implements another great tip; use of good lighting. The large, bright windows let in heavy floods of light illuminating the room and making it appear more spacious. The deep brown tan used on this bedroom’s wall add a touch of luxury and elegance, which is magnified by the classy antique items in the bedroom, including the dressing cabinet and mirror. 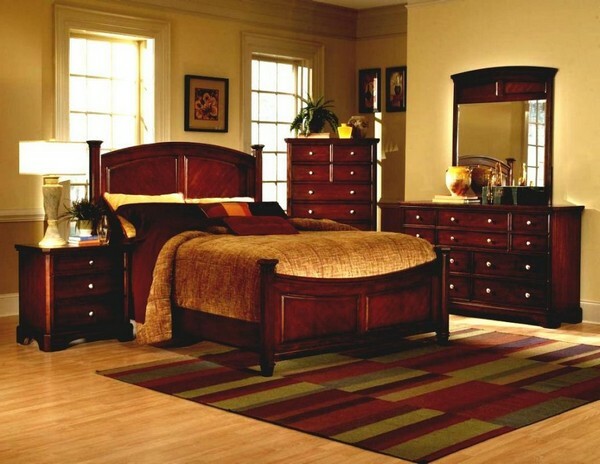 The gold bedding and drapes also add a touch of elegance, while complementing the brown tan perfectly. The red cover, on the other hand, help draw the eye to all the rich elements of the room perfectly. Purple is a deep and intense color and one can never go wrong with it when used to complement a tan bedroom color scheme. Because purple is largely associated with class and elegance, you will find incorporating it in your bedroom design helps you achieve a high-end and sophisticated look, with minimal effort. 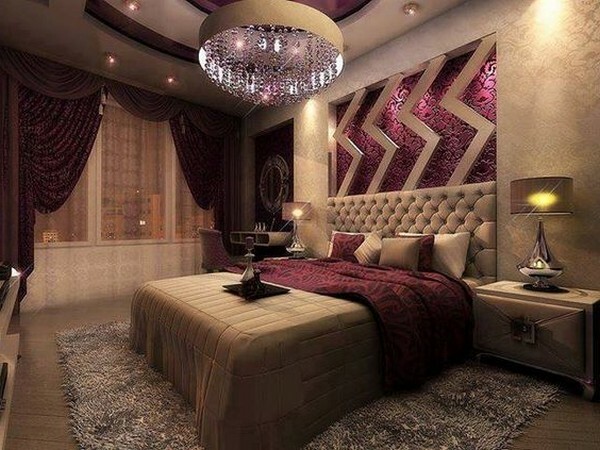 This bedroom looks even classier because of the purple crystal chandelier that glows elegantly under the light. As you may have noticed already, tan bedroom style is somehow similar to neutral bedroom style, more so if the colors used for the tan bedroom are light. This bedroom, for instance, gives a tan and neutral vibe at the same time, because of the light and soft colors used, including the white drapes.